Tiny toes, tiny fingers, a brand new little belly button. What could be more wonderful in the whole world than a tiny baby? All the firsts. New things to experience with your baby. It's quite magical and I'm under the spell now and trying to savor every moment. In our birth plan we requested that we be the first to bathe our newborn. We were released in under 24 hours and Capri left the hospital without a bath and was able to share that special first at home with Mommy & Daddy. Until her cord fell off, we did light sponge baths. Once it did, and she was ready for her first real bath, I made a nice warm bath and Daddy brought her in and put her in the tub with me. It's such a bonding time. Gentle enough for newborn skin, we used Babo in Capri's first bath. It was really nice not having to worry for a second what was being absorbed into my baby's skin. ◦Color Safe for Mom's Hair, too! The newborn formula is the Oatmilk Calendula. Oatmilk helps comfort skin associated with eczema, dry patches or chafed skin. Calendula Oil is known to help soothe scalps with cradle cap or dry patches. Certified Organic Nutri-Soothe™ Blend rich in vitamins and anti-oxidants combines Chamomile, Watercress, Kudzu and Calendula -Extra gentle plant-based cleansers that soothe and nourish skin. 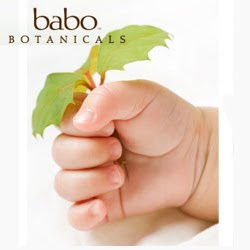 I love Babo products and the scent is clean and natural - perfect for a baby's skin. Thank you Babo for you dedication to making natural, non -toxic, high quality products for our little ones. 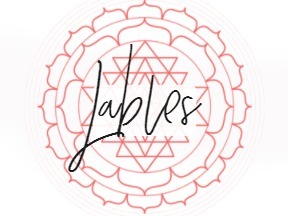 *Follow me @jamaise at Twitter & Tweet this : RT @jamaise #GIVEAWAY #WIN - a Babo Botanicals Oatmilk Calendula Newborn Giftset http://bit.ly/an4zsr Ends 9/10 tweet each day for one entry each ! Disclaimer:Babo provided me with a free sample of this product to review, and I was under no obligation to review it if I so chose. Nor was I under any obligation to write a positive review or sponsor a product giveaway in return for the free product. These views are my own. Smooth & Detangling shampoo would be nice to try. 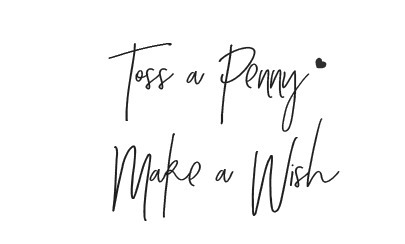 I am a fan of Wishing Penny on Facebook. I shared the contest with over 400 friends on Facebook. I entered Nutraluxe MD Giveaway! Already a GFC follower! I like the idea of the Berry Primrose Instant Smooth and Detangler. My daughter's hair is getting pretty difficult to handle but we don't want to cut it! Blog follower via GFC and I'd like to try the Berry Primrose Instantly Smooth Detangler. Facebook fan of Babo #1. Facebook fan of Babo #2. Commented on Babo's FB wall about this giveaway #1.
commented on this giveaway on Babo's FB wall #2. Commented on this giveaway on Babo's FB wall #3. I follow Babo on twitter #2. Entered the bath ball filter giveaway #1. Entered the Bath Ball Giveaway #2.
entered the Bath Ball Giveaway #3. Baby Bunny Soap Set looks beautiful. i like the swim and sport gift set. I follow Babo on Twitter. 1 . I Like/Fan Babo Botanicals at Facebook, my FB name is Vicki Sh. 2 . I Like/Fan Babo Botanicals at Facebook, my FB name is Vicki Sh. 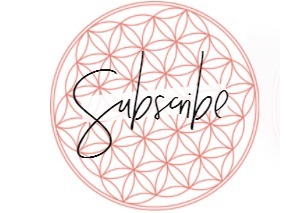 I follow you via friend connect and I'd love to try the Berry Primrose instantly smooth detangler. Found out about babo botanicals through the ewg.org website. I was looking for something that wasn't bad on my daughter skin. I got the Oakmilk Calendula. I wanted it to be mild and sensitive. I would love to try other products. I wondered how the Berry Primrose was. I want to be entered in the Wishing Penny giveaway to be able to try more products. Thanks. Hopefully this didn't get printed twice. We are also a fan of Babo on facebook. Clean Sport Shampoo and Wash and am a friend @ Wishing Penny via Google Friends Connect -- thank you for the chance! #1 I Like/Fan Babo Botanicals at Facebook. #2 I Like/Fan Babo Botanicals at Facebook. #1 Follow your blog via Google Friend Connect as nightowl. #2 Follow your blog via Google Friend Connect as nightowl. #3 Follow your blog via Google Friend Connect as nightowl. I would like to try this for my son who has eczema.